Three ways to stay informed, emails – NV-Alert, “Like” us on Facebook, . The purpose of this study is to examine whether there is a relationship between the degree of state control of homeschooling and the rate of abuse or neglect by the parents (or other legally responsible caregivers) of homeschooled children ages 6 through 17. Answers to Good Questions – 2007 Nevada Homeschool Network pamphlet outlining the protection aspect of both the fundamental parental right to educate one’s one children free from government control while still protecting the “best interests” of the child. Last fall a law professor claimed “the reason that the parent-child relationship exists is because the state confers legal parenthood.” Now two more liberal law professors repeat the claim that the right of parents to raise and educate their children is granted them by the government. Thankfully, this time another law professor counters their claim in the same publication. “No state prohibits parents from home-schooling their children because of a history of child-abuse allegations.” NOT TRUE! NV homeschool parents addressed this in 2007 in our homeschool law. This article reveals what NHN has always been concerned with… parents using the homeschool law to “hide” their abuse and/or neglect patterns; we were specifically concerned with those parents who would intentionally use our homeschool law to “hide” and not really educate the child. Therefore, we included a line that parents under investigation and/or convicted of abuse/neglect (but given a second chance as in this case in the article) could have their homeschooling reviewed by a NV Judge/NV-CPS or curtailed in conjunction with the violation of other NV child abuse/neglect laws. The parent of a child who is being homeschooled shall prepare an educational plan of instruction for the child in the subject areas of English language arts, mathematics, science and social studies, including history, geography, economics and government, as appropriate for the age and level of skill of the child as determined by the parent. The educational plan must be included in the notice of intent to homeschool filed pursuant to NRS 388D.020. If the educational plan contains the requirements of NRS 388D.020, the educational plan must not be used in any manner as a basis for denial of a notice of intent to homeschool that is otherwise complete. The parent must be prepared to present the educational plan of instruction and proof of the identity of the child to a court of law if required by the court. Article justifying why parents can’t be trusted to raise and educate their own children. Although the U.S. currently enjoys the greatest homeschool freedom anywhere in the world, you can see how international thoughts and ideas will impact our hard-won freedom. Connecticut – see the 2019 Win Column below. Georgia – see the 2019 Win Column below. Illinois – see the 2019 Win Column below. 02/26/2019 – See story from The Federalist posted in national articles section above. 01/20/2019 – “Wellness” Checks for Homeschoolers” – recent blog post by Homeschool Iowa in response to proposed bill. 01/16/2019 – Staed (elected state representative) Wants Iowa’s Public Schools to Do Wellness Checks on Homeschoolers – Shane Vander Hart, Caffeinated Thoughts. New 2019 bill proposed by Representative Art Staed (D-Cedar Rapids), called “Safety First,” requiring “health and wellness” checks by government officials of all homeschool students in their home. The 2018 bill died during the last Iowa legislative session… so they’re trying again, putting a different spin on it. Same old story though – because a few parents have abused their children (who by the way, were public school children) parents who choose to homeschool must prove they have no ill-intent towards their children and submit to government inspection of their homes – this is guilt by association. 02/07/2018 – National debate about home schooling oversight hits Iowa – Colin Van Westen, The Spencer Daily Reporter – Spencer, Iowa. This article quotes Rachel Coleman of Coalition for Responsible Home Education (CRHE), an east coast group that believes homeschool parents should be “accountable” to the government for the education of their children and are calling for MORE restrictive homeschool laws across the country. 01/18/2018 – Bill Would Turn Back Clock, Add Wasteful Red Tape – Scott Woodruff, HSLDA Attorney representing Iowa HSLDA member families. CRHE is on the move again in CA calling for new bills to restrict homeschool freedom. However, one Assemblyman at least is not taking the bait. “As a lawyer advocating for the rights of home schooling parents, Smith (J. Michael Smith, HSLDA President) saw this as a violation of constitutional rights. The bill, AB 2756, was later amended to remove these inspections following protests by the California Homeschool Network. The author of the bill, Assembly member Jose Medina, who represents the district that includes Perris, told The Desert Sun in April that he revised the bill after hearing parents’ privacy concerns. 1/18/2019 – And if the original article wasn’t enough the newspaper’s editorial board supposedly wrote this, The California Legislature must address homeschool shortcomings exposed by the Turpin case. If California has a system of justice the Turpins will be punished for their crime – THAT is the way our system works. Laws regarding the abuse of children must be strong and enforced. But this newspaper seems to think that all parents choosing to homeschool are guilty by association. Because the Turpins broke the law all parents choosing to homeschool MUST subject themselves to home inspections by mandatory reporters to prove they are not abusing their children as the Turpins did. Shameful. 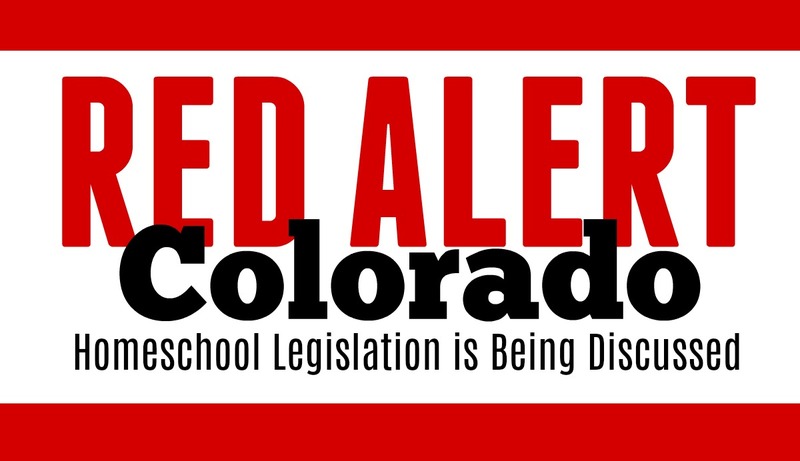 01/11/2019 – Home-school groups say new regulations aren’t answer following 7-year-old’s death – Joe St. George, Colorado’s Own 2 News/FOX 31 – Denver. As it turns out, the mother of Caden was charged with his murder in December 2018 which investigators estimated happened in May of 2018. The mother apparently “withdrew” him from public school later that summer to “homeschool” him after his death… an attempt to hide her crime by unlawfully using the Colorado homeschool law. And yet there some who say we must increase regulations on law-abiding homeschool parents to prevent such crimes. Read the article to understand how misguided they are. “Both Knox and Runyan said states should require background checks on adults providing in-home education — 48 states including Colorado do not. 01/3/2019 – More homeschool oversight hurts families, does nothing to protect kids, says national advocate – Isabella Isaacs-Thomas, Michigan Radio-NPR. Keeping Children Safe video produced by TEACH-CT.
“We believe in the fundamental right of parents to train up their children,” said Pam Lucashu, who home-schooled her children and is now legislative liaison for The Education Association of Christian Homeschoolers of Connecticut (TEACH CT), “because that right resides with the parents. There isn’t any need to involve the state.”“Any time you put anything into law, you’re putting your nose under the tent, opening the door to increased regulation,” said Lucashu, noting that Connecticut laws currently are silent on home schooling. 3/7/2019 – Over 1000 Georgia homeschoolers attended Georgia Home Education Association’s Capitol Day on March 6th the same day an onerous bill that would have restricted homeschool freedom was heard in committee. As has been the case in other states homeschool parents and advocates testified calmly and graciously against the bill. The result? The bill’s sponsor agreed to a rewrite of the bill totally removing all proposed homeschool restrictions. Today the revised bill was passed out of committee and goes to the floor for a vote before being heard on the other side of the house. Congrats to Georgia homeschoolers who stood for liberty from government oppression. 3/2/2019 – Legislative Alert: HB 530Threatens to Increase Homeschool Regulations – Georgia Home Education Association; Update on meeting with bill sponsor. 02/11/2019 – The dishonest attack on homeschooling in the Crocker murder case – Dr. Joel McDurman, The American Vision. “But hey, you know, state lawmakers may be imposing more regulations (on homeschooling) because we allegedly need to “do something” because of this tragic incident.How about instead of that, we do something even more obvious: how about we hold accountable the law enforcement agencies, the child services agencies, and public school authorities who knew something was not right, and yet let it alone anyway? How is punishing innocent homeschoolers going to help?It won’t. It will only be giving State bureaucrats more of exactly what they want: power and control over people’s lives, and to stamp out the competition of freedom and the free market. 10/23/2018 – Constitutional Right to Home-School? An interesting opinion from a Georgia Court of Appeals chief judge Stephen Dillard. In light of the bill introduced in February 2019 in Georgia calling for limits to homeschool freedom this is an interesting and hopefully winning argument AGAINST the bill. 02/19/2019 – Homeschool Registration Bill Tabled by Sponsor – Scott Woodruff, HSLDA attorney reports on the bill sponsor’s change of heart. He also explains why home visits of homeschool families is legally inappropriate and unnecessary. 02/16/2019 – Illinois Family Institute, Illinois Christian Home Educators, and HSLDA are cautiously optimistic that the sponsor of HB 3560 is going to withdraw the bill. “#AB2756 was just defeated in the Assembly Education Committee,” tweeted Kiley. “Major victory for all the homeschool educators, parents, and students who came to the Capitol and made their voice heard.” Assemblyman Kevin Kiley (R), Vice-Chairman of the CA Assembly Committee on Education. 5/3/2018 – Grassroots Victory in California – Mike Smith, HSLDA – video presentation. How the grassroots blocked two bad bills aimed at CA homeschool parents. 4/25/2018 – Move it to the “WIN” column! AB 2757 defeated in CA Assembly Education Committee in historic 7 hour hearing (3 hours on that bill alone). Reports to follow, but is official. 4/16/2018 – California’s crazy-intrusive politicians can’t keep their hands off anything — Next up? Homeschoolers! Sam Sorbo, radio show host, author and homeschool mom. Opinion piece in FoxNews. 4/15/2018 – Oppose AB 2926 Protect Homeschooling in CA – Pastor Roger Jimenez, Verity Baptist Church in Sacramento, CA – YouTube video. 4/10/2018 – California A.B. 2756 and A.B. 2926 – Video Discussion between Mike Smith, HSLDA President and Nathan Pierce, Family Protection Ministries (FPM) on behalf of CA homeschoolers on efforts to block to bad bills. 3/28/2018 – Is Homeschooling Safe? New Bill Would Investigate – Mike Smith, HSLDA President – two bills in CA Legislature seek government control/monitoring of homeschooling. 3/12/2018 – Stands for You: An investigation into proposed homeschool legislation – Tom Tucker, KESQ News – Bill Sponsor Assemblyman Jose Medina initially agreed to be interviewed on camera about the bill but then refused. 2/28/2018 – HSLDA Responds: Why Does California Want Fire Inspections for Homeschools? 3/13/2018 – HSLDA and CHEK have been assured that HB 574 in Kentucky is NOT going forward and will die in committee. CHEK and many of you, as constituents, have been assured that HB 574 will not move out of committee, long sigh of relief….. BUT, we also have been told this will be discussed in the legislative interim. Yes, the Chair of the Education Committee and several Representatives have responded with, “This bill is dead, but there will be discussion during interim”, or they responded with questions asking their constituents, “What would be acceptable oversight?”. Kentucky Rep Harris said this bill was recommended to him by several public school officials. TJ Schmidt of HSLDA recommends that if asked why there should not be more restrictions on homeschooling ask the person… “What are you trying to fix? What is the purpose in your bill?” Homeschooling provides parents the flexibility to educate their individual children dependent on their needs. Give your personal story on the success of your homeschool. Every state has a different level of requirements of parents… some more restrictive than others. But with all these differing levels of regulation homeschool children ARE all doing well and becoming productive members of society not dependent on their parents or the state after the age of majority… check out the research here, NHERI research-facts-on-homeschooling. Homeschooling works and does not need to monitored beyond existing laws (and some states need to reduce theirs in the name of FREEDOM)… we certainly don’t need more. This bill would put Kentucky homeschoolers under regulations similar to what Nevada had back in 1988, the most restrictive time in our state’s homeschool history! Letter to Bill Sponsor from Scott Woodruff, HSLDA Attorney for Maryland member families explaining the right of Maryland families protection of the 4th Amendment to the U.S. Constitution that this bill would violate. *BUYER BEWARE: This is the reason NHN opposed and blocked the inclusion of “homeschooling” in the 2015 NV-ESA Bill – SB 302 (although the bill did pass, to date it has not been funded and is not operational). Nevada homeschoolers value their LIBERTY over funding. The History of the NV Homeschool Law tells us that accepting one penny of taxpayer funding WILL return us to over-burdensome regulation by the government in return for the money. According to people in attendance – parents showed up in droves filling four rooms and hallways to overflowing… so much so that the Fire Marshall showed up to shut the hearing down because TOO many people were in the building! The bill died then and there. 6/6/2018 – Homeschoolers Will Not Be Scapegoated: JOINT STATEMENT OF CONNECTICUT HOMESCHOOL ORGANIZATIONS – One state official in CT is going after parents who withdraw their children from public school to homeschool in an attempt to cover the mishandling by government officials of the reported abuse and eventual death of a truant public school child in Connecticut. 5/9/2018 – Facebook Live: HSLDA, NHELD, & Connecticut State Homeschool Leaders discuss false report from the Connecticut Office of Child Advocate linking homeschooling to child fatalities. 5/8/2018 – Homeschoolers Will Not Be Scapegoated in Tirado Death – Peter Wolfgang, Family Institute of Connecticut in addressing a Press Conference called to clear homeschool families of false statements made in a CT Legislative Hearing by the CT Child Advocate last month. Example of how when just one parent fails in their responsibility to provide a sound education to their child (and keep good records) ALL parents become suspect and the government steps in to “regulate” homeschooling. 2/4/2018 – In Defense of the Nevada Homeschool Law – NHN Position Paper is support of Nevada’s existing homeschool law. 1/24/2018 – Response from NV Homeschool Advocate – Barbara Dragon, NHN Officer Emerita. Posted in the Comments section of the article and on the RGJ’s Facebook post. Many people posted comments refuting Mr. Cameron’s position… as of 3/22/18 they have now all been removed. 10/27/2018 – World is their classroom, but are New Mexico home-schoolers learning? Robert Nott, Santa Fe New Mexican. The title alone tells you exactly where this article is headed… regulations on homeschool parents must be increased so the state can “protect” children. NOT! That is the parent’s right and responsibility! Prosecute those that don’t educate their children but don’t regulate every one else to death – deregulate homeschooling now! And to further irritate me (Barb), if I read one more article quoting the SAME so-called “experts” calling for increased regulation I think I’ll scream! Where is the balance in journalism (you laugh, I know)? Well enough is enough, even if we have to take on one journalist at a time and educate them then so be it – To the author of… article in Santa Fe New Mexican dated 11/20/2018. 11/21/2018 Addendum – Mr. Nott sent a thoughtful reply thanking me for the email and expressing appreciation for the information and links… he has been “learning more” about the topic in the wake of the article being published. That is good thing! 11/08/2018 – Dr. James Jones: Home schooling damaging Polk County system, Larry C. Bowers, Cleveland Daily Banner. This article condemns homeschooling in Ohio not because of the lack of regulation but because public schools are loosing funding when parents pull their kids to homeschool. This is not true and one study commissioned by NHN in 2007 disproves this theory. “There is a trend statewide, that is greatly impacting school districts, especially small, rural districts,” said Jones. That trend is home schooling. Of the 70 students Polk County lost, Jones said almost all were to home schooling. 11/12/2018 – Homeschooling in Oklahoma: A push for more oversight, Caroline Vandergriff, Channel 8, ABC, Tulsa. Good grief… for umpteenth time “Rachel Coleman” is quoted as an “expert” on all things homeschool. Do these “journalists” have no other sources… oh wait, we do! See Homeschooling Backgrounder for truth and rebuttals to the so-called facts printed in this article. 12/1/2018 – Letter: Michael Farris, Purcellville, Letter to the Editor of Loudoun Now in response the Loudoun County School Board Meeting by Michael Farris, attorney and founder of HSLDA. 11/30/2018 – Woodruff Asks Loudoun Now for Apology for “Misinformation” Accusation. Letter from Scott Woodruff requesting an apology and retraction for misreporting by Danielle Nadler in her 11/28/18 article on the school board meeting (see below). 11/29/2018 – Update on Loudoun School Board Meeting by Scott Woodruff, HSLDA Attorney. 11/28/2018 – School Board to Revisit Homeschool Stance After Backlash Prompted by Misinformation by Danielle Nadler, LoudounNow. Be sure to read the comments section, homeschool parents were NOT misinformed as the title of this article indicates. See HSDLA Attorney Scott Woodruff’s warning letter to Loudoun County homeschool parents below. 11/26/2018 – Stop Loudoun School Board’s Effort to Repeal Religious Exemption , by Scott Woodruff, HSLDA Attorney. 11/15/2018 – Superintendent: Enrollment down by more than 4,000 students this year in West Virginia public schools, By Shauna Johnson – Metro News, The Voice of WV. Another article saying “we’re loosing kids to homeschooling, therefore we must regulate them more because a few might not be receiving a quality education.” (paraphrased) FACT: West Virginia has “moderate” (vs. “low” or none) homeschool laws as compared to other states. “I certainly don’t have a problem with home-schooled students, but I do have a problem with the qualifications and the criteria that has been established for those home-schooled students,” Paine said.In most cases, he told BOE members, he believed high-quality education was being provided to those schooled at home.However, he added, “The law has changed significantly from the time when I was a teacher, a principal and otherwise and so I know, beyond a shadow of a doubt, that there are circumstances where it’s being abused and I fear for those kids that they’re not receiving a quality education.”Interesting to note however, he offers no specific statistics proving such a claim. In fact, we would argue the opposite is true… homeschoolers clearly outperform their peers in public school school with or without state regulation. Other articles on the threat to homeschool freedom based on false allegations against homeschoolers. 1/17/2019 – Dear ThinkProgress: Try to think a little broader — if you can? – Mike Donnelly, HSLDA Attorney & Secretary of Global Home Education Exchange (GHEX), published on medium.com. Donnelly responds to a false (and wacky!) narrative against HSLDA and Global Home Education Exchange, a world-wide organization seeking to promote parent-led home education around the globe. Question: who’s behind this attack and why? The article itself gives the answer: “[HSLDA] is probably the major player who’s driven American homeschooling in the last 30 years, and they’ve always been a very far-right, religious-right organization,” said Kathryn Brightbill, a legislative analyst with the Coalition for Responsible Home Education, a nonprofit that advocates for accountability in homeschooling. This is the same group behind most of the articles written and legislative bills called for in the last year declaring homeschoool parents potential child abusers unless heavily regulated by the state. On Wednesday we noticed several negative articles linking child abuse and homeschooling in a number of states. By the time we got to the third article, we realized that it was essentially the same article with only minor tweaks (picture, headline, contributor, and first few paragraphs) which target specific states—and they were all being published by Patch.com. Some of you were seeing the same articles and contacted us expressing concern about the messaging. Although Patch purports to be local news, this series is clearly a campaign. What’s the best response? Comments from their local audience—you! A few of you have reported that comments with viewpoints opposed to that of the authors are being deleted or marked as spam, or the article is deleted and re-posted with no comments. But this appears to be a localized phenomenon and must be happening at the discretion of local Patch editors or moderators. Also, let your friends and family know about the opportunity to respond as readers, homeschooling parents/grads, and friends of homeschooling families. HSLDA is here to protect your right to homeschool. If legislation is introduced in any state, we will be there to make sure that hasty legislation does not discriminate against and unjustly burden homeschooling families who are raising their children in a safe, loving, and educationally rich environment. 2/22/2018 – For a change of pace, here is an article on three Harvard students that were homeschooled and why the FREEDOM their parents and they enjoyed got them to where they are today. THIS is the dream of a clear majority (if not nearly all) TRUE homeschool parents: Homeschooled en route to Harvard. 1/24/17 – This was published in the Reno Gazette Journal – Homeschooling child abuse can happen here too by Cameron Etchart. In response, Barbara Dragon, NHN Officer Emerita, wrote a reply that was posted in the Comment section of the article and on the RGJ’s Facebook post. As the reply seems to keep being marked as “spam” we are publishing her response here – for the record. NHN appreciates Dr. Ray’s fact-based ideas and philosophical positions. NHN has worked for two decades with loving families devoted their children’s academic success and emotional well-being. We believe overwhelmingly that PARENTS LOVE THEIR CHILDREN more than the government ever can or will. Nevada had a similar case to the current reported case of massive child abuse by a California couple. Back in 2006 two children living in Carson City, Nevada had been similarly caged in their home while other children in the family, who lived in the same household, went to public school every day. NO ONE ever said anything about the two abused children being caged in a bathroom in the home. It wasn’t until one of the children escaped and was seen wandering around by local police officer. So, the sad fact is that child abuse happens every day… whether a child attends public school, private school, is homeschooled, or as in that case – never attended a school at all. NHN grieves for abused children everywhere. In 2007, when we lobbied for SB 404 – The Homeschool Freedom Bill, we addressed this issue head on. Using governmental statistics we showed that in Nevada 81% of all child abuse reports come from non-school related sources; nationally it was 83.9%. We pointed out that private and homeschooled students do not become “invisible” from CPS by not attending public school. For more check out the pamphlet, Answers to Good Questions.